Flipper, created by Ricou Browning and Jack Cowden and shepherded to the small screen by Ivan Tors, the veteran producer of the TV classics Sea Hunt, Science Fiction Theatre and Daktari, featured one of the catchiest theme songs (written by William “By” Dunham and Henry Vars) ever composed for television. The classic TV series Flipper, starring Brian Kelly (Around the World Under the Sea) as Porter Ricks, Chief Warden and Park Ranger at Coral Key Park and Marine Preserve, comes to DVD and Blu-ray in a beautiful new presentation that captures the pristine aquatic Florida backdrop in all its glory. Ricks, along with his two young sons Sandy (Luke Halpin, Island of the Lost) and Bud (Tommy Norden, Five Miles to Midnight) share weekly adventures aided by Flipper, their friend and pet, a highly intellectual and daring dolphin adept at protecting the preserve and sleuthing out unsavory characters. 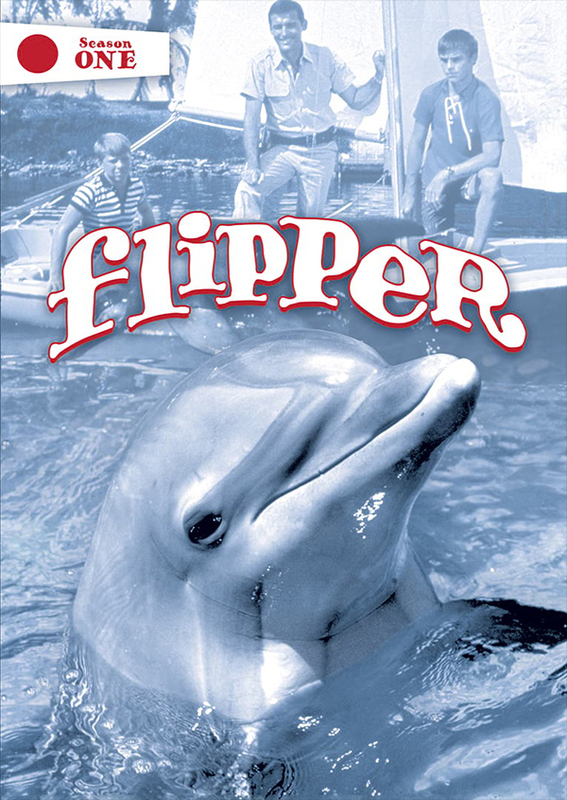 Throughout its three-season run (1964 through 1967), Flipper featured a galaxy of guest stars including Burt Reynolds (Shark), John Kerr (South Pacific), Jessica Walter (Play Misty for Me), Martin Sheen (Apocalypse Now), Barbara Feldon (TV’s Get Smart), David Soul (TV’s Starsky and Hutch), Bo Svenson (Heartbreak Ridge), Huntz Hall (The Bowery Boys), Daniel J. Travanti (TV’s Hill Street Blues), Marshall Thompson (It! The Terror from Beyond Space), Julie Sommars (TV’s Matlock), Pat Henning (On the Waterfront), Denise Nickerson (Willy Wonka & the Chocolate Factory), John Castle (Blow-Up), Michael Conrad (TV’s Hill Street Blues), Aline Towne (The Invisible Monster), John Abbott (Gigi), Jon Cypher (TV’s Major Dad), Karen Steele (Marty), Andy Devine (The Man Who Shot Liberty Valance), Wende Wagner (Rosemary’s Baby), Jean-Pierre Aumont (Day for Night), and Gloria DeHaven (Summer Stock). RLJ Entertainment: "THE EVIL IN US" DVD! Lionsgate Home Entertainment: "KILL SWITCH"
LAKESHORE RECORDS... AESOP ROCK’S "BUSHWICK"
METROPOL PICTURES PRESENTS: "UNION FURNACE"
RLJ Entertainment: "ONCE UPON A TIME IN VENICE"
Milan Records: "The Hitman's Bodyguard"
SONY CLASSICAL: "THE DARK TOWER"